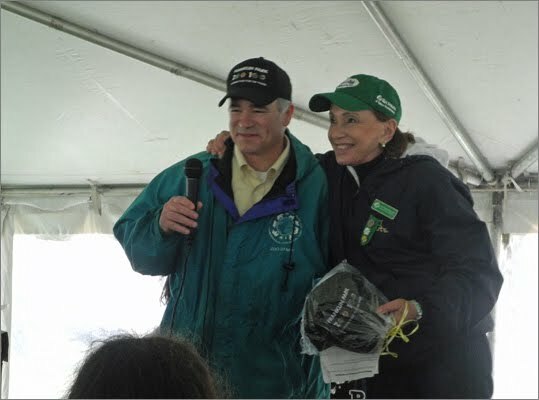 Boston.com reports that yesterday John Linehan, President and CEO of Zoo New England, and Ruth Bramson, CEO of Girl Scouts of Eastern Massachusetts, gave speeches about the partnership between their organizations and the joint celebration of Earth Day. "At the zoo, every day is Earth Day," Linehan said. The event featured eco-friendly exhibitors, craft tables for making art out of recycled materials, a recycled fashion show, and animal education enrichment activities.